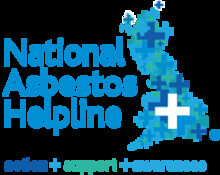 The National Asbestos Helpline (NAH), which represents the victims and their families of asbestos-related disease, is adding its support to the growing number of global organisations calling for a total ban on the use of the material, as part of its campaign to support Action Mesothelioma Day [Friday 6th July 2012]. Action Mesothelioma Day is International, highlighting the global scale and consequences to the health and lives of individuals exposed to asbestos and their relatives. Along with the British Lung Foundation (BLF), the Asbestos Disease Awareness Organisation (ADAO) in America and many others world-wide the NAH is adding its weight to the campaign for a total ban on the use of asbestos and at the same time launching an online petition where those affected by this material can add their support for the initiative. Richard Clarke, General Manager of the NAH said: "We must ban the use of this material; the NAH sees daily the affects asbestos disease can have on people’s lives, and for those diagnosed with the rare asbestos-related cancer mesothelioma, the outcome is nearly always fatal. We are looking to reach over 1000 signatures, with photographs, of those who have used our services and who have obviously had their lives changed as a result of coming into contact with asbestos. We will then transfer their support to a book for presentation to Dr. Penny Woods, CEO of the BLF and Linda Reinstein from the ADAO in America, to present the face of the disease to those guilty of profiteering from its production, export and use and adding to the growing weight of campaigning to outlaw the use of this material once and for all." Richard added: "Action Mesothelioma Day is the ideal vehicle on which we can bring wider attention to the dangers of this material as well as remember those we have lost to asbestos-related diseases and raise valuable funds for those living with an asbestos-related condition. Employees of the NAH will be observing a minute’s silence at 10am on Action Mesothelioma Day in memory of those globally who have lost their lives to the disease."